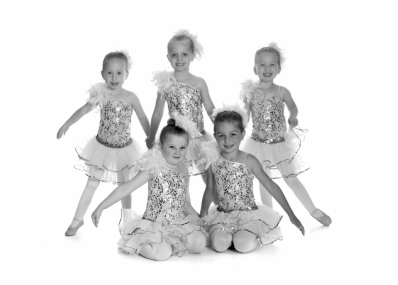 Our 3-5 year old dancers take a 1 hr or 1.5 hour long combo class of Tap, Ballet and Tumbling. These students will begin to learn terminology and how to put steps together in combination. These classes perform a Ballet and Tap dance in our annual spring recital. Dancers 6 and up who have a certain amount of experience or are aged out of combo classes will be placed in one of our level classes. These dancers are offered a full repertoire of classes ranging from Ballet to Hip Hop and can choose which classes they wish to take. The Carolina Strut teachers will determine what level each dancer is placed based not only on on dance ability but a combination of that, maturity, age, and most importantly Ballet technique. Level classes are intended to offer our dancers a clear set of goals and stepping stones to follow in thier dance education. You cannot move onto a higher level until have successfully completed your current one. On average a dancer will spend two years in a level before moving onto the next, this will of course vary from child to child. The Carolina Strut sets aside a level for our older beginner students. This is a place for pre-teens and teenagers to begin thier dance education without being intimidated by more seasoned dancers thier age or placed with younger dancers.